In a wide-ranging interview with Tim Minchin, he discusses the ins-and-outs of writing Matilda, Groundhog Day, Larrkins, acting and his move to LA: so much that I’m breaking it into two parts. The second part, coming soon, will focus on Groundhog Day, Larrikins and his move to Los Angeles. In this first part, he talks about his encounter with a (fictional) little girl called Matilda. When the Royal Shakespeare Company was looking for someone to write the songs for their musical of Matilda, director Matthew Warchus went to see one of Tim Minchin’s solo shows in London. As Minchin tells it, by the show’s end Warchus had decided that he wasn’t right for the job. Then as an encore, Minchin sang White Wine in the Sun, his beautiful, heartfelt song to his baby daughter Violet about Christmas, family and love, and Warchus changed his mind. “He was thinking, ‘no’ and then he went, ‘oh, there’s another dimension’. I’m so glad. Can you imagine? It’s made such a profound impact on my life, this musical, and my whole career,” says Minchin. 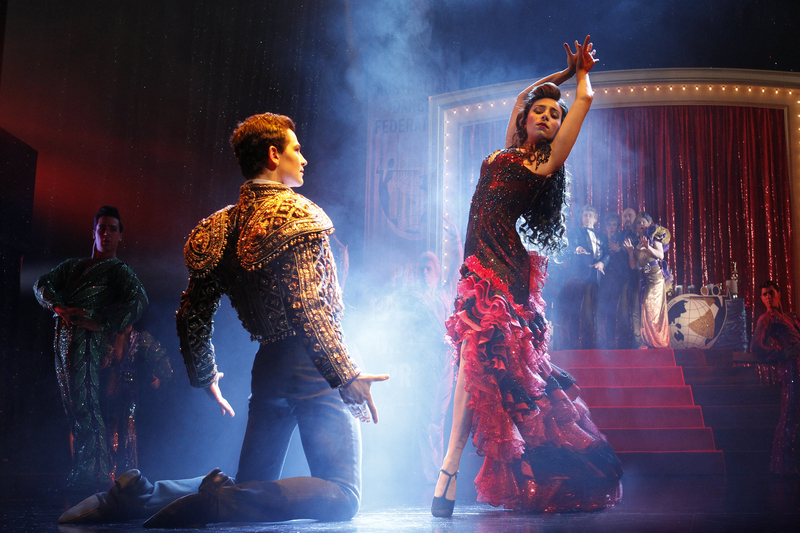 The Australian production begins previewing in Sydney on July 28. Minchin, who grew up in Perth, will be at the official opening on August 20 and says it feels “genuinely special” to be bringing the show home to Australia. The feeling is reciprocated. 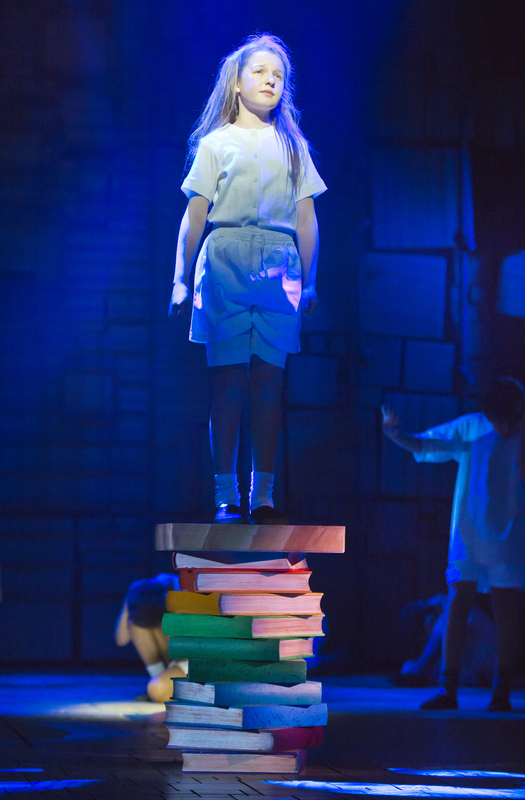 Matilda is probably the most hotly anticipated musical of the year in Sydney where the love affair with Minchin continues to grow. Tickets were snapped up in next to no time when he played two sold-out shows on the steps of the Sydney Opera House in February. He held the ecstatic audience in the palm of his hand, with more than a few tears during White Wine in the Sun. His own mascara seemed to run a bit too. 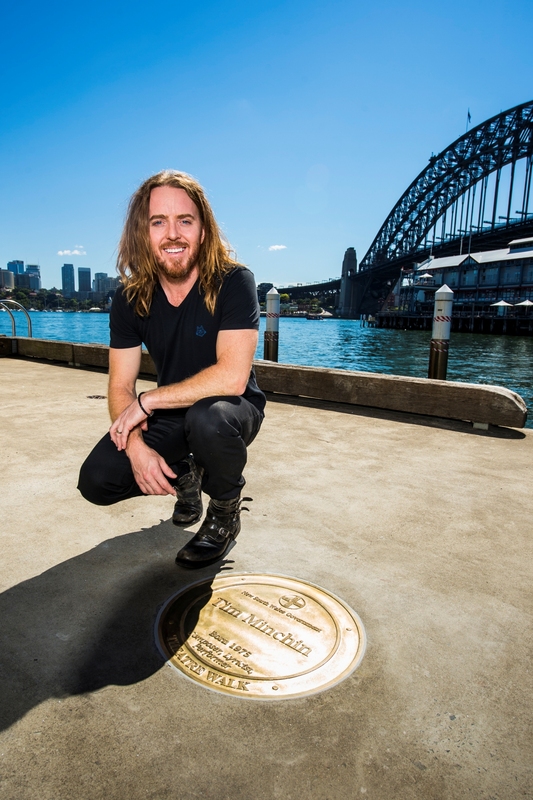 And when he came to Sydney last October for the launch of Matilda, Destination NSW took the opportunity to honour the self-proclaimed “rock ‘n’ roll nerd” with a plaque in Sydney’s Theatre Walk at Walsh Bay, joining the likes of Cate Blanchett, Geoffrey Rush, Jacki Weaver and John Bell. Minchin was a star before Matilda. A comedy songwriter with trademark ratty hair, kohl-rimmed eyes and bare feet, his genius for combining pithy, witty, pointed lyrics with catchy tunes had already won him such a cult following that he could fill arenas for his solo shows and front symphony orchestras in concert halls. But Matilda has made him a superstar, in demand around the world. He is now writing songs for a musical based on the 1993 film Groundhog Day, also directed by Warchus, which will premiere at London’s Old Vic next year prior to a Broadway opening in 2017. He is also the songwriter and director for an animated DreamWorks movie called Larrikins, set in Australia, scheduled for release in 2018. 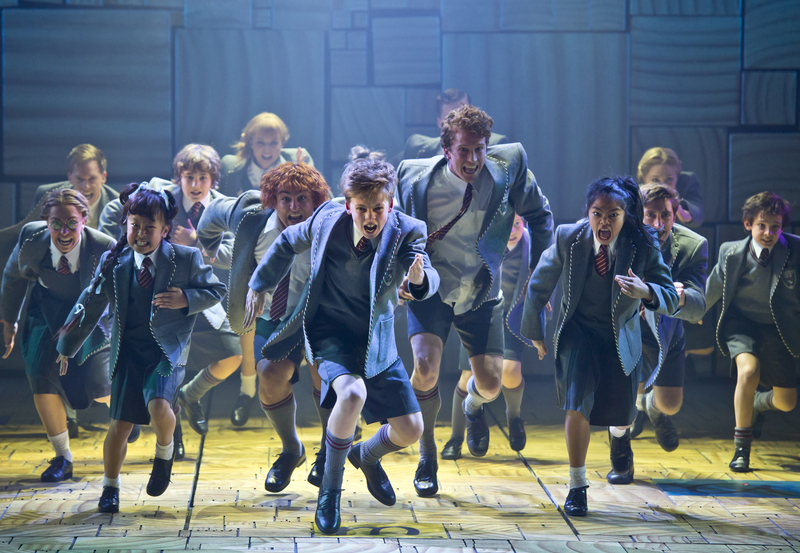 There’s a film of Matilda the Musical in the pipeline too. “Without Matilda, I could have gone more down the path that people who get known for comedy go on but this has taken me back to what I was doing as a kid. I wrote loads of music for the theatre in my late teens and early 20s,” says Minchin. 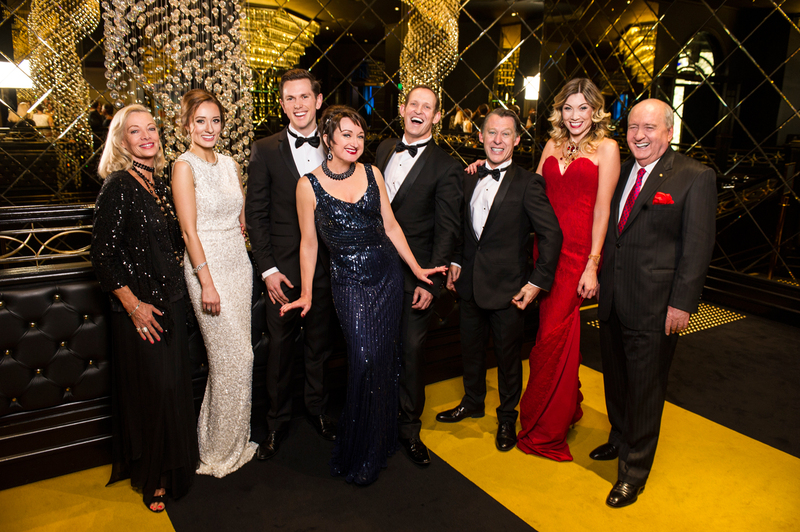 In 2004, he wrote the songs for This Blasted Earth, a Christmas musical written with Travis Cotton and Toby Schmitz, which played at Sydney’s 40-seat pub theatre at the Old Fitzroy in Woolloomooloo. In 2005, he and Kate Mulvany wrote Somewhere, a musical about Penrith for the opening of the Q Theatre. That same year, he won the Best Newcomer Award at the Edinburgh Fringe Festival. “It does strike me as really amazing that (working on Matilda is so similar to) what I was doing 10 years ago,” he says munching on jelly snakes to keep himself awake as he battles raging jetlag. Funnily enough, in a now famous anecdote, while he was writing music for theatre shows in Perth, Minchin – who is mad Dahl fan from way back – enquired about getting the stage rights for a musical of Matilda. When Dahl’s estate asked for a sample of his score, he panicked and dropped the idea. “It’s a great story. It doesn’t sound very believable but it’s true,” he says. 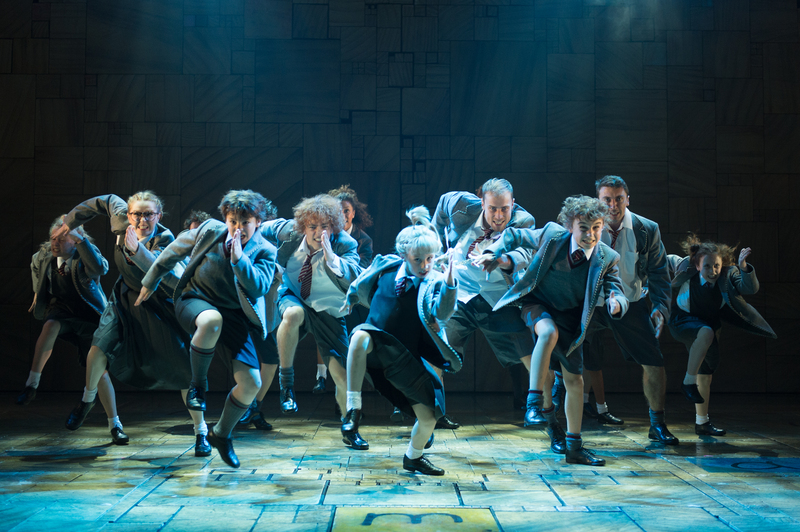 Matilda tells the tale of a smart, book-loving little girl who uses intelligence, imagination, courage and magic to defy her mean parents and vicious, tyrannical headmistress Miss Trunchbull. Minchin’s songs are absolutely brilliant: funny, bolshie, poignant and refreshingly different to so many of the pop scores of contemporary musical theatre. In retrospect, it’s hard to think of anyone else more suited to the task. His intelligence, irreverence, wit and heart seem such a perfect match for Dahl. You might think the first thing Minchin would have done after being commissioned by the RSC was to pick up Dahl’s novel again, but no. Instead, he looked to the show’s book by writer Dennis Kelly. When Minchin came on board, Kelly had already been working on Matilda for a year. “So he gave me a script with no songs and Matthew (Warchus) and me and Chris Nightingale, the orchestrator, who was in from the very beginning, and Dennis just talked and talked and talked. Your most pretentious, in-depth tutorial in an English Literature of a university got nowhere near the level of textural analysis that we were doing! Hard though it is to believe now, Minchin reveals that at one point they considered making Matilda a non-singing character. 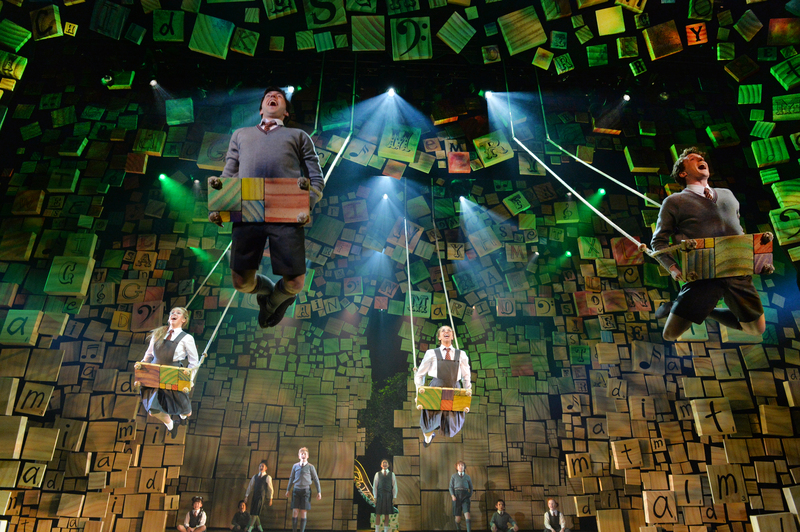 “Early on, Matilda had no songs. I couldn’t work out how to make her sing, weirdly, because she’s so quiet. Then I wrote Quiet,” he says. “That’s not quite true. She had a song in the second act where Quiet is now, which is just as she is about to do magic for the first time. It had this big rumbling build-up to ‘Magical! but we all went, ‘that’s not right’ so when we did the first workshop we just discarded it. She had no songs at that point and we were considering the possibility that she might not have songs; that the world revolves around her and she is a still force. 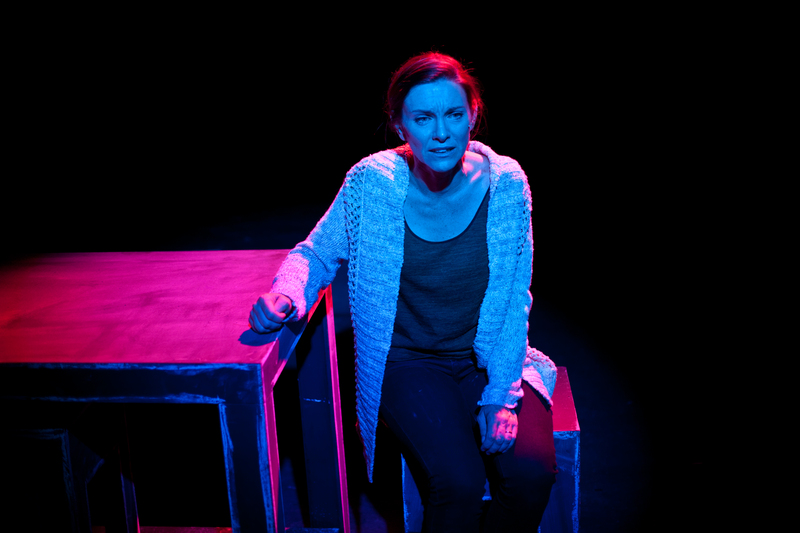 One of the most well-known and popular songs in the show is the sweet When I Grow Up. The idea behind it came from one of Minchin’s own childhood memories. “I remember promising myself I would never open the farm gate. We used to spend a lot of time when I was growing up on my grandfather’s farm and you would always climb over the gate or flip over the gate. I’d watch the oldies fiddle with the (padlock) and I would go: ‘I hope I never have to walk through gates. Gates are to be hurdled,’” he says. “That idea of looking at things as a child and promising yourself that as an adult you’ll do all the things you think are awesome as a child (is the idea behind the song). It’s somehow sad because you are so wrong. Or maybe you were right. That’s the point. Dahl would say that we forget that kids have the wisdom. We’re sad as adults because we don’t climb trees and eat sweets and wake up with the sun. That’s where all the melancholy comes from in that. When I Grow Up is the first non-narrative song Minchin wrote for the show. “It’s a reflective piece, although in the musical Miss Honey sings the last verse about being brave enough to fight the creatures, which gives you a hint of what’s to come,” he says. Thinking back on the robust working relationship between him and Kelly, as Matilda gradually took shape, Minchin laughs with genuine pleasure. 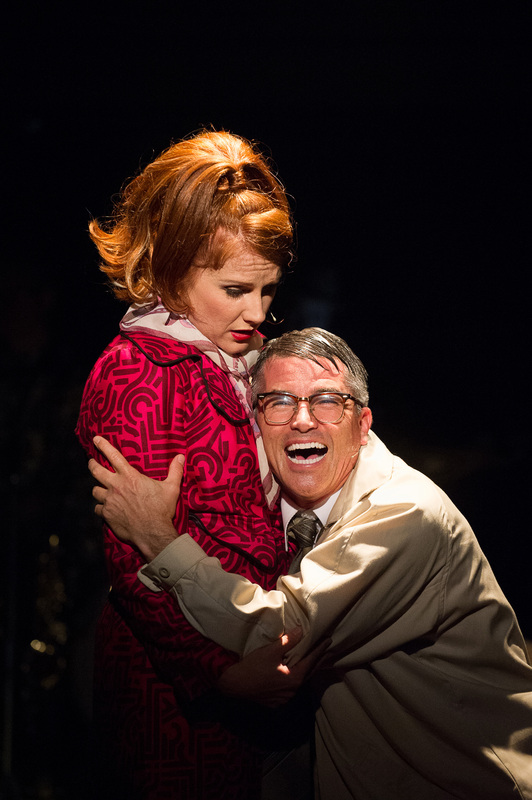 “He’d never written a musical before. We tugged and pulled and pushed for the whole writing period. We didn’t know each other very well early on and Matthew would sit there quietly letting us fight it out. Then he’d say one sentence and we’d go, ‘right’. He’s such a genius and so quiet. But we’d all make each other laugh all the time.